One of the things on people's short list during a hurricane crisis is NOT this: "Golly, I wonder how my website should look tomorrow." Maslow's hierarchy of needs never included internet access. It includes the most basic of life-sustaining components, such as food, water and shelter. We realized this even before Hurricane Sandy hit the east coast. So, after ensuring that Rockland Web Design customers' websites, hosting, email and customer relationship management services were up 100% of the time during the crisis, we turned our heads to helping those in need. We soon learned what an unbelievable need it would be. Sunday night some of us headed down to the Stony Point Ambulance Corp...which was designated temporary shelter for people who would inevitably need to leave their homes while the Hurricane was visiting New York. In a matter of just 24 hours, many families -- over 60 people -- arrived for food, shelter and clothing. Some even needed to be airlifted from their homes as the waters from the Hudson River increasingly overflowed. 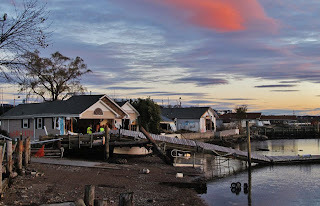 We remained at the Ambulance Corps for 5 days, helping our new friends to gather donations from the North Rockland Community, hand out food, and assist in organize meetings between the Town Officials and the residents of the area. It was a daunting but humbling task, and because of the experience I feel even more connected to this wonderful community that I've called home for nearly all of my life. So many businesses and volunteers helped in the effort, which is ongoing. As an example, Dana K9 Scent Detection came in with dogs to make sure that all the donations were safe for distribution to the people affected by the storm. John K. Grant donated 50 brand new pillows. B's Nest Deli brought breakfast and lunch every day, Pizzarena brought italian food every night. Nancy Pena Kohout entertained the chlidren with games and music each evening. There is much more, I've thanked a few below, but I will write another blog post with the list of as many people / businesses that I can remember. As things started to get a little more manageable, I turned on my trusty laptop, got a hold of one of my buddies that does database administration, and worked with him to build a comprehensive volunteer and donations database, one which will help to get the right help in the right hands. More on that further on in this blog post. The initial safety efforts are winding down, but the cause to help the families that have been permanently displaced from their homes is just beginning. In addition to the temporary shelter that has been kindly provided by the Stony Point Center, we have begun to participate in the organization of several benefits that will raise money for the families. These include donations, gift cards, benefits and fundraisers that will spring up over the coming weeks. The first step was to set up a central location where all donation and volunteer efforts could be garnered. As we have a close relationship with the members of the North Rockland Chamber of Commerce, we figured this was a logical place to start. 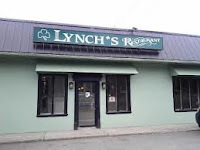 Lynch's Restaurant: An elegant evening at Stony Point's newest restaurant, which will feature fine cuisine, live music and more. Hi Tor Bowling Benefit: Bowl all night at this family-friendly event. Percentage of revenue will be donated to the benefit. Donation Canisters: We are placing donation canisters all over North Rockland, in support of our effort to raise $10,000 initially. Finally, we have begun talking about helping with a Thanksgiving Dinner which will be specifically for the families affected by the Hurricane. This is also in the nebulous stage of planning, but has a lot of energy behind it. So we are hopeful! 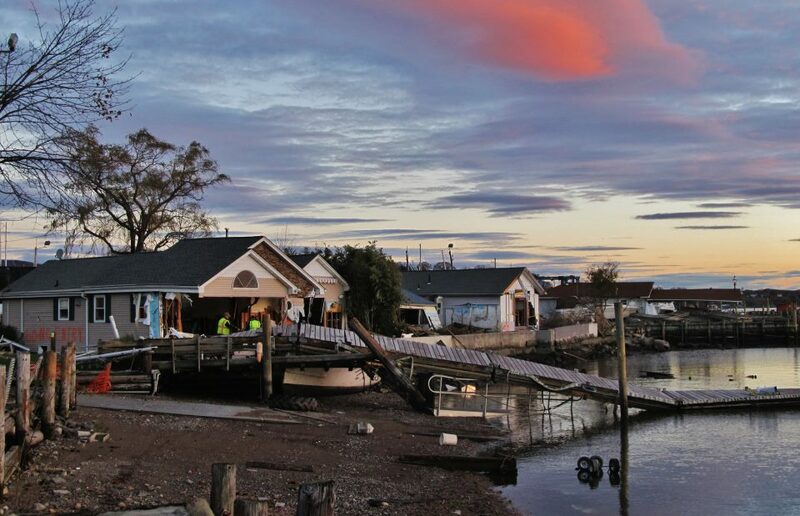 North Rockland Community on Facebook: Run by Diego Aviles and Ellen Donovan, this is the place to get up to date info on Hurricane relief efforts, gas availability, benefit and volunteerism info, and more. Working the channels between the displaced families, government agencies such as FEMA, and volunteers from all over North Rockland. It was certainly a difficult line to walk, since there are so many requests and positions to fulfill in a short period of time. But he was able to do so with both a heightened energy and grace that impressed me. I'm still not sure how you did it all, but you have my kudos for your efforts without a doubt. Also a very warm thank you to Executive Assistant Bernadette Kilduff for communicating our nutty ideas to Mr. Finn when he had a moment to breathe. Luanne works tirelessly even when there isn't a crisis. In my opinion, she is a non-stop humanitarian who cares about her town, and backs it up with action. In addition to her efforts on the Economic Development Committee and several other efforts to revitalize Stony Point, she was on the front lines every day during the height of the crisis, and kept an open ear to any needs that had to be met. She's still out there working, so if you see her, thank her. If you don't, please take a moment to read this, it's a direct result of her efforts. Diego and Ellen drove the social media channels with unbelievable skill. On the North Rockland Community alone, over 2000 people in the community were kept up to date on the latest developments related to the Hurricane, donation efforts, volunteer efforts, the gas crisis (thankfully a temporary one), and are currently communicating all the various benefits we are collectively attempting to promote. Thank you so much for your help...and for your guidance on how to choose the right courses of action. Kindly opening their doors to the displaced families after the hurricane, Rick Ufford-Chase and staff such as Paula Sandusky are doing a phenomenal job in ensuring that the families are comfortable as they begin the process of rebuilding their homes, lives and families. In my opinion, the Stony Point Center was the perfect, peaceful retreat for such an endeavor. Notably, they cleared two buildings that were slated for corporate conferences in order to accomodate the families. Beautiful. I think it's important to thank those who directly dealt with their adversity. Regardless of the circumstances, I feel blessed to have been in the midst of such brave people whose struggle to return their lives to some sort of normal, is just beginning. Over the past week, I've seen incalculable strength in the eyes of these people who have lost the most. One person that was with us was so grateful for even the most basic of amenities, a hot meal, a place for her family to stay, even a hug. You can see she is a caring soul. And she is just one of many. Every once in a while we meet up with people that simply have the same heart and mindset as ourselves. Lionel and Rob were two people who fit that description throughout the Hurricane Crisis. The three of us worked unbelievably well together, and jumped head-first into any tasks that needed to be performed. As a cohesive unit, we performed tasks as basic as cleaning the floors and distributing food, to organizing donations from the community and now spearheading the benefits that are popping up all over North Rockland! If I mentioned everyone that I got to know throughout this crisis, I'd be here until the next election! But you all know who you are, and I look forward to working with you more over the coming months. Thank you for assisting me with the creation of the volunteer & donation database. It is begin put to good use. You got my vote for DB Administrator for any organization, any day of the week. There is a very dear friend of mine in particular that I know wishes to remain anonymous. If I convince her to let me write her name here, I'll update this post. But she was there from the very beginning, to the very end of our relief efforts. To her I want to say thank you so much for participating, and showing how much you care about others. Finally, and most importantly I'd like to thank God for being there for all of us through this crisis. We can't do anything without God's help.